Strange as it may seem, 30 per cent of Aam Aadmi Party (AAP) candidates for the second phase of Lok Sabha polls in Madhya Pradesh are billionaires, while 40 per cent have criminal records against them. This was revealed in an analysis of candidates for the second phase by the Association of Democratic Reforms (ADR) and MP Election Watch (MPEW). The ten constituencies which are set to go to polls in Madhya Pradesh during the second phase of polls on April 17 are Morena, Bhind, Gwalior, Guna, Sagar, Tikamgarh, Damoh, Khajuraho, Bhopal and Rajgarh. Four out of ten of Congress and BSP nominees have criminal records against them, while only three out of 10 BJP candidates have criminal cases filed against them. All the 10 Congress candidates are billionaires, while eight out of 10 BJP nominees, four out of 10 BSP nominees and three out of six Samajwadi Party nominees are billionaires. Giriraj Yadav, an independent candiate from the Guna constituency has a murder case against him, while Brindawan Singh Sikarwar, the BSP candidate from Morena has an attempt to murder case pending against him. 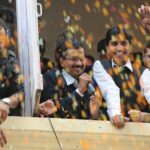 While it is unclear what the title in the original PRI feed is, it is clearly about AAP, since the altered titles in the various news websites all talk of AAP’s criminal and billionaire candidates. Yet the article is not solely about AAP, but is a comparison of all Madhya Pradesh second phase candidates. Presents AAP as the party with the most criminal candidates through “creative writing”. 40% of candidates and four out of ten candidates is the exact same proportion. Yet the article is about AAP’s “40% candidates” – out of 10, while for Congress and BSP it is four out of ten. And for BJP, it is *just* three out of ten, which is a massive difference of…. one candidate. Criminal record or criminal case? All candidates with criminal cases against them except BJP are referred to as having a criminal record, while BJP candidates merely have cases filed. Who would think these are different rows of the same table being spopken about? Human perception is such that a record implies a confirmed criminal history, while a case is “not yet proved”. Selective reporting and lack of handy source to verify. This is the source of the data reported in this article on the ADRIndia website. The data used in these tables is on page 8 out of 34 pages. For example, the part where PTI gets the data for “30% of AAP candidates being billionaires” is tricky. The closest I can come to locating it is the table where 29% of AAP candidates are said to be crorepatis. 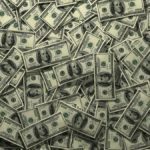 One billion is 1,000,000,000. One crore is 1,00,00,000. That is a difference of two zeroes or one hundred times the crore mark. ADDITIONALLY, this beautiful factoid omits to mention that not only is it 29% and not 30%, but in the same table, Congress has 89% candidates who are crorepatis and BJP has 84%. Update 2: The document further below analyzes the 2nd phase candidates alone and finds 30% (3/10) AAP candidates crorepatis (NOT billionaires) and the same table says 100% (10/10) of Congress candidates are crorepatis and 80% (8/10) of BJP candidates are crorepatis. Here’s the Bonus. The 4 AAP candidates with criminal cases mentioned by ADRIndia? I was unable to locate the fourth. The constituencies going to the polls in the second phase according to the article are Morena, Bhind, Gwalior, Guna, Sagar, Tikamgarh, Damoh, Khajuraho, Bhopal and Rajgarh. 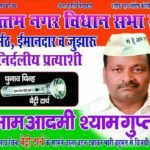 Out of these, I was able to identify the candidates with criminal cases for Atul Mishra – Sagar, Rachna Dhingra – Bhopal, and Santosh Bharti – Damoh. If you look at the nature of cases, they are what you hear activists being slapped with all the time. As Atishi Marlena has just pointed out, Atul Mishra is the one who exposed major procurement scam in Sagar University, and took case to CBI. Santosh Bharati is well-known anti-corruption and forest rights’ activist! Rachna Dhingra is a well-known Bhopal Gas Tragedy victims’ activist. 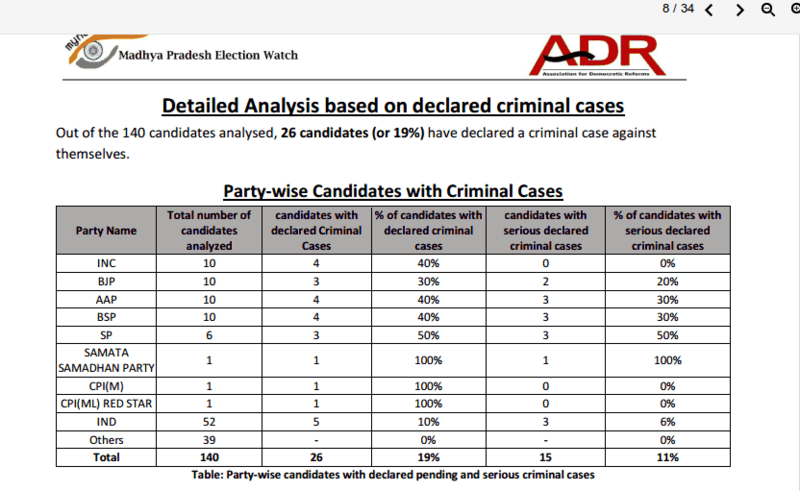 I have no idea who the fourth candidate is that ADRIndia has listed if I compare these constituencies with this list of candidates with criminal cases in the Lok Sabha Elections, sorted by party provided helpfully by multiple BJP supporters (for some reason). Either ADRIndia got its data wrong, or the PTI report got the constituencies wrong, or one of the candidates withdrawn by the Aam Aadmi Party for not meeting standards was on the list, but didn’t get updated in ADRIndia records. Or I made a mistake. Update: The fourth candidate is Dr. Prashant Tripathi – Rajgarh – again similar. One case that looks like a typical activist thing. Apparently the list is for candidates with serious criminal cases, and this one was not on them, so it took going through each constituency to find. It was not PTI report but research from ADR. I read the news. dont mislead nation. ADR has published their report which is not this article of selective facts and outright lies. ADR is an organization of considerable integrity, not a stooge churning out politically biased nonsense. The original ADR report referenced in this article is linked from my post and the screenshot is from it as well. If you are missing an AAP candidate with a criminal record then it’s possible they might be referring either to Soni Sori who accepted the candidacy or Irom Sharmila though neither have been convicted and the latter was offered but declined. But if they hadn’t before they could now update the records showing a dramatic 50% increase in the AAP PPCs with police records. I am an outsider. I assume that the main parties field many criminals as they are among the few in Indian Society who can afford to buy the ticket. There is no point trying to tarnish the image of PPCs from any of the other parties as it has never previously affected their chances of being elected the votes being block purchased through the Indian Vote Bank system. The only purpose would be to smear AAP. It does show that some are taking AAP’s chances seriously even outside of Delhi. We will all find out soon enough. This is my analysis. Billionaire means 100 crore. So I hope they meant only crorepati not billionaire. I have verified from myneta.info all the AAP candiates and here is the result. Only 14% are crorepati and 17% has criminal cases. So how did Association of Democratic Reforms (ADR) and MP Election Watch (MPEW) came up with 30% and 40% is beyond my understanding. Either they are paid creating false info or they are idiots. Also media is wrong in not verifying the results and showing the truth just stating their results. Only 4 out of 29. That means 14 %. Only 5 out of 29. That is 17%. None are convicted, 3 accused and 3 charges framed. 1. Santosh Bharti, Damoh, 3 cases – Voluntarily causing hurt to deter public servant, unlawful assembly,rioting.Crusaing against corruption and mafia. He is Activist , arrested for LokJagran Andolan. 1. Atul Mishra, Sagar, 1 case – Causing hurt to extort property.Involved in Lokpal movement. 2. Prashant tripathi , Rajgarh, 1 case – rioting,insulting to break peace, voluntarily causing hurt. 3. Rachna dhingra , Bhopal, 3 cases – causing hurt to deter public servant,criminal intimidation,disobedience. RTI activist, active in Janlok andolan. Ohh Indian Media!! Why art thou so dumb!! You missed two zeros in a number?? People laugh about 2+2=4, but 10 million = 1 billion? thanks for digging deeper and exposing the lies being peddled by the paidmedia Vudyut. Thank you for this research done. However, it would add even more credence if you could list out what the cases are ? Each name is linked to updated profile on myneta website with the cases declared. Hi have you seen this one Mr. Jagdish Singh. can you please clarify. 1) Girraj Yadav, independent candidate from Guna, has declared a case of murder against himself. 2) Brindawan Singh Sikarwar of BSP, from Morena constituency, has declared 1 charge of attempt to murder against himself. 3) Jaibhansingh Pawaiya of BJP candidate from Guna, has declared 1 charge of dacoity against himself. 4) Sheeba Malik of SP candidate from Bhopal, declared 1 charge of elated to Dishonestly receiving property stolen in the commission of a dacoity. This is absolute non-sense paid article by TOI and PTI. 5 out of 17 AAP candidates from MP have declared criminal cases and none of them is a billionaire. 1) Rachna Dhingra (Bhopal) : Studied Business Management from the University of Michigan (USA) and worked with Accenture Consulting. In 2002, she resigned from her job and came to Bhopal to work in support of the Bhopal survivors’ struggle for justice and a life of dignity. As a member of the Bhopal Group for Information and Action for the last 10 years Rachna has taken part in legal actions, community mobilisation and media presentations on issues of the disaster in Bhopal locally, nationally and internationally. Rachna has been a keen and effective RTI activist for the last 8 years. Rachna was awarded the ‘Woman of the Year’ by the India Today magazine in 2010, in the category of public service. As a College student at University of Michigan she got involved with a group called Association for India’s Development which spports grassroots organizations in India working on agriculture, energy, education, water, livelihood, natural resources and social justice issues. All of them are related to her activities during protest against govt and govt. officials. 2) Santosh Bharti (Damoh): Mr. Bharti has been crusading against rampant corruption in series of governments, enoirnment depeletion, mining mafia, land mafia & forest mafia since 1967. He was an active participant of several agitations & was arrested on several occassions “LokJagran Andolan” (1973), “Akhil Bhartiya Rail Karmi hadtaal” (1974), Fighting against Emergency (1975). All these cases are on account of his Activism. Prashant is a well known super specilist dentist in Rajgarh area. He has been working for Oral Cancer patients from past 5 years. His nanaji was a freedom fighter. Prashant is also General Secretary of “Vijay lakshya 2015 vishwa” which is largest anti tobaco program in India. So when the title of the news article says 40% in MP, it’s misleading. Only 5 MPs have criminal cases and 2 out of them need further investigation by AAP team and 1 should be cancelled. BJP has more criminal candidates as compared to AAP in Madhya Pradesh. All of them irrespective of the party should be investigated. And by the time BJP supporters are chanting Namo Namo blindly, i am going to send this information to AAP team and ask explanation about 2 candidates and cancellation of ticket of Mr Jagdish Singh because we are not blind enough to send corrupts and criminals into parliament. No idea what BJP supporters are doing about their tainted candidates with charges of dacoity, murder etc in Madhya Pradesh.